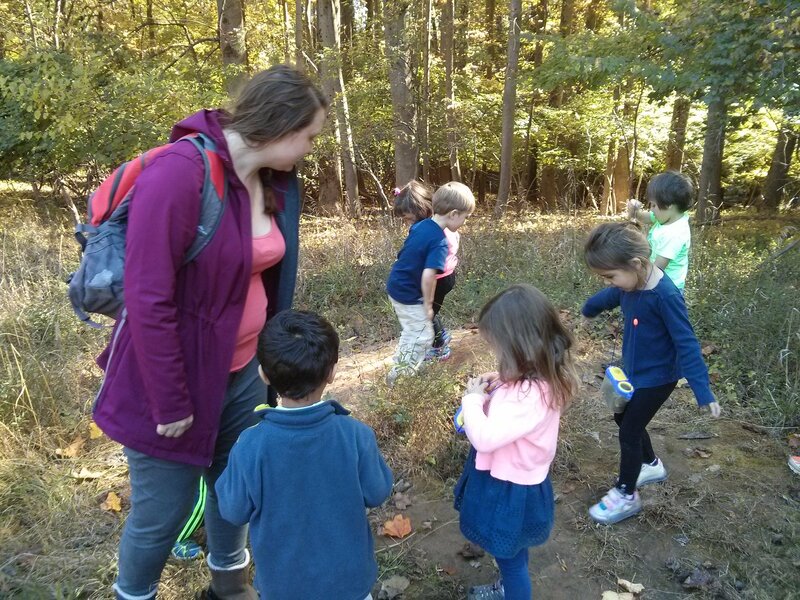 The Nature Detectives kicked off the short week with a naturalist hike with Alex. 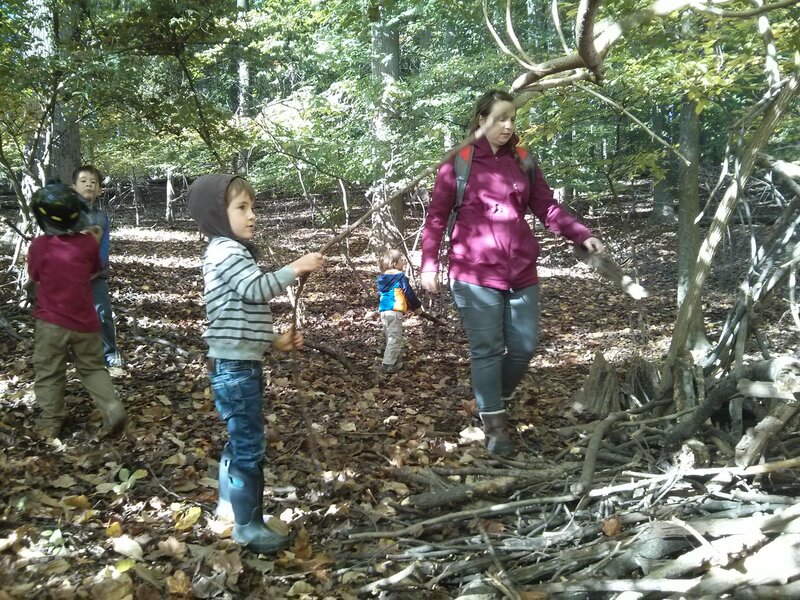 The kids looked for fall colors in nature, spotted frogs at the pond, and pretended to be squirrels and collected and hid nuts for the winter. 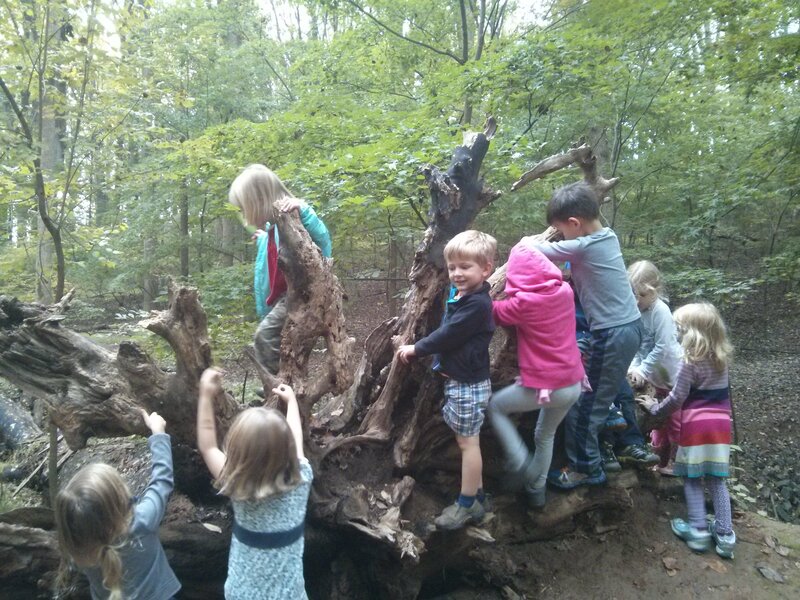 The kids also rolled some logs over and saw lots of bugs and insects. 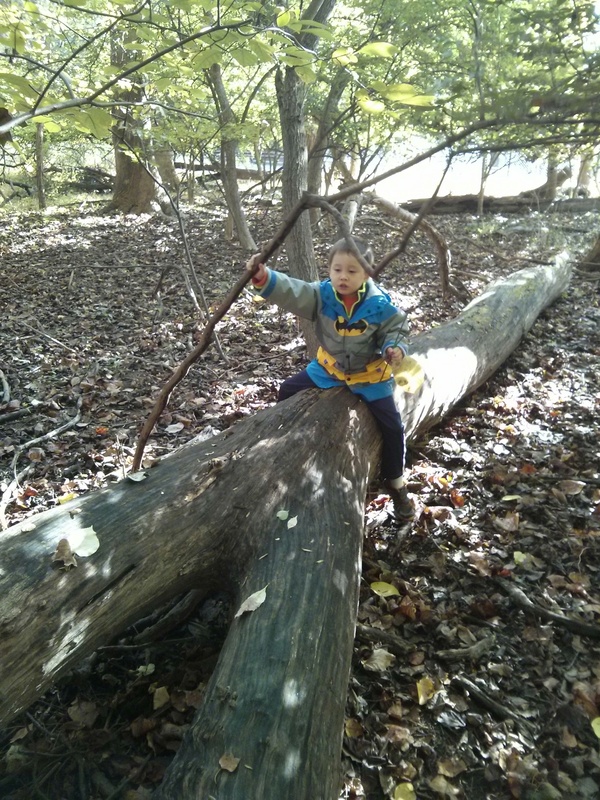 The Nature Detectives started building a new stick fort at the Lookout. 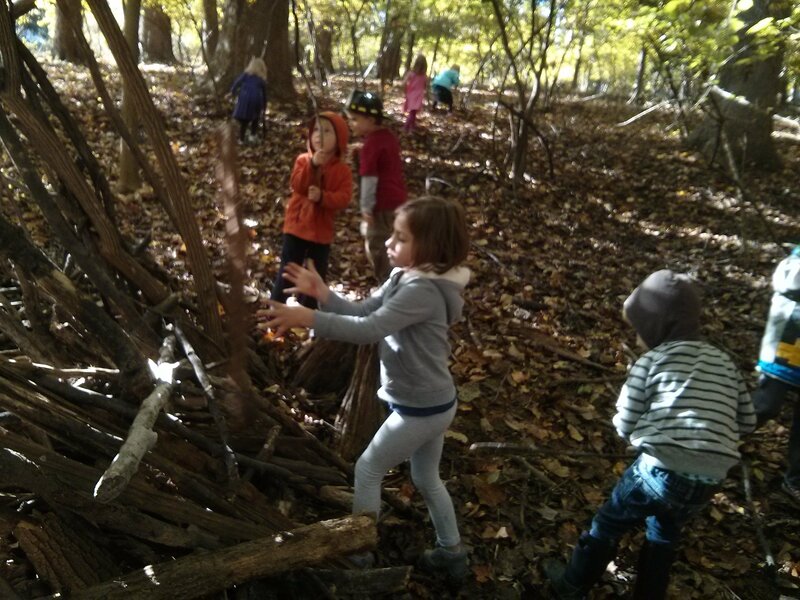 The kids put lots of hard work into figuring out the best way to support the structure and how to build up the walls. Lots of progress was made, and we are excited to build more of the fort next week! 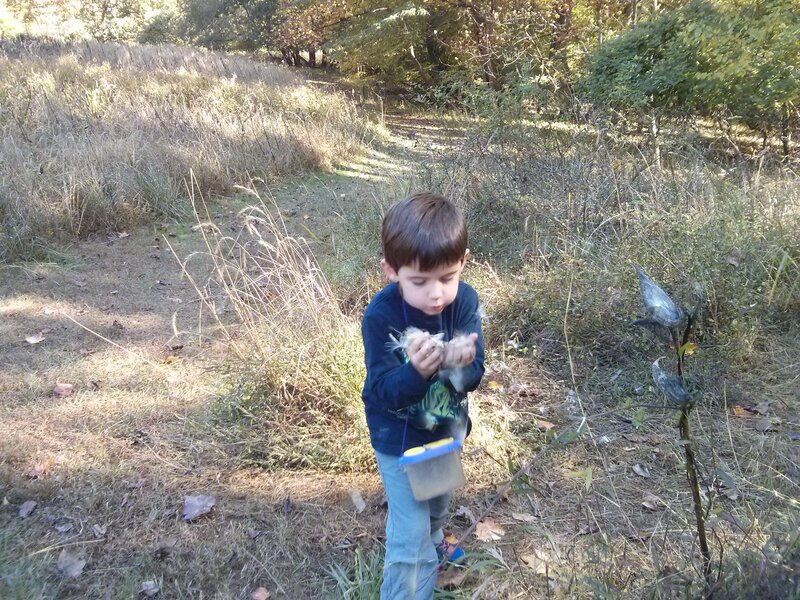 The PM Nature Detectives took the bug catchers on a meadow hike and collected bugs, seeds and leaves. They even found a leopard slug to examine! 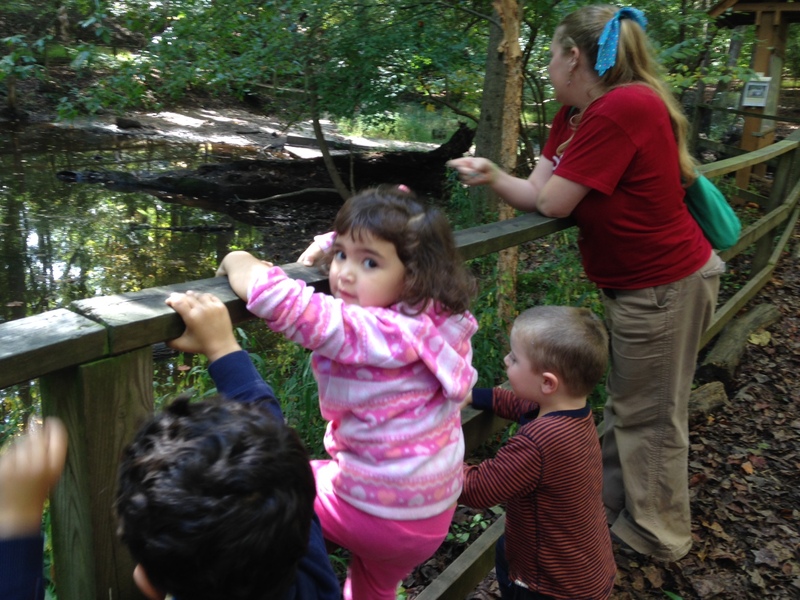 The AM Nature Detectives enjoyed making colorful leaf prints with Ann-Mari. Both groups of Nature Detectives will make leaf prints this coming week when they decorate their fall celebration Crowns! The Nature Detectives conducted an apple experiment this week. They made hypotheses about what would happen to three different apples: one with no skin, one with holes poked in it, and one left untouched. Later in the week they made observations about what things had changed since they made their predictions. A farm stand was opened in the classroom this week. The kids used a cash register to buy and sell farm goods. There was so much negotiating and compromising happening! Keeping up the farm and harvest theme, the kids also plucked corn off the cob in our lab table which builds their finger strength and dexterity and hand-eye coordination. 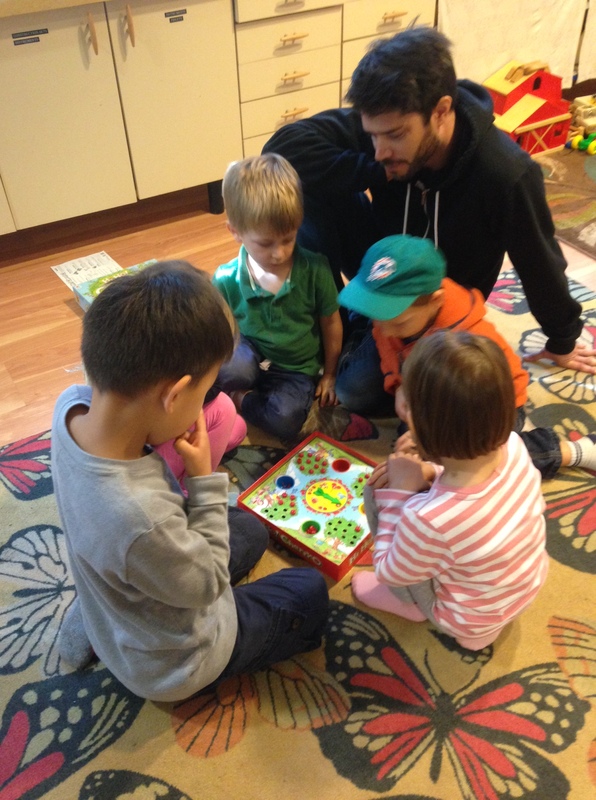 Nature Detectives practiced their turn-taking skills and exercised being patient during games of Hi-Ho Apple-O. 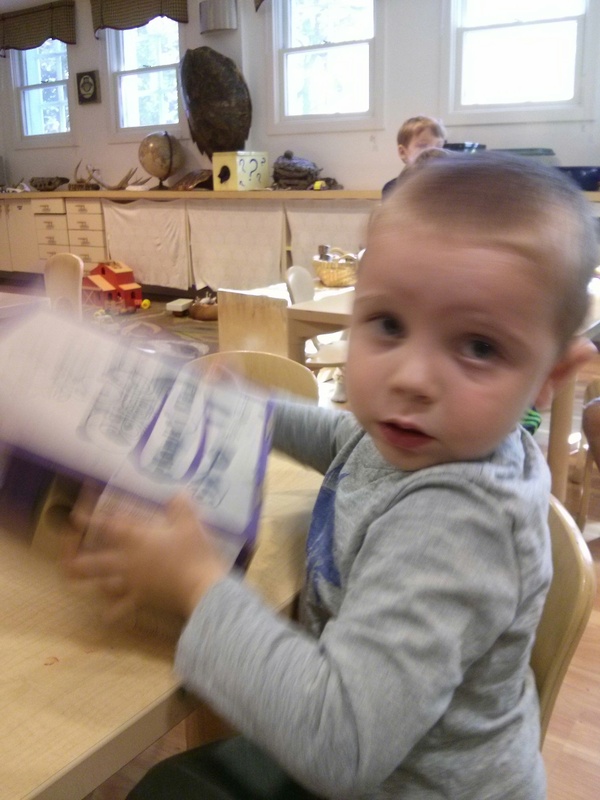 The imaginative play was so beautiful to watch with the farm animals and farm vehicles at the block center. The PM Nature Detectives did lots of building with Duplos while the AM class mixed up a fresh batch of play-dough for use in the classroom. 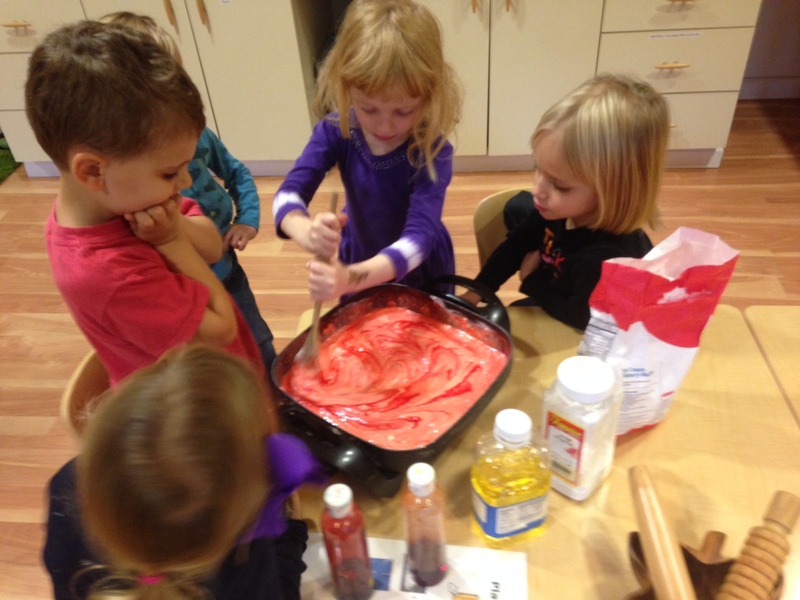 Both groups began to create decorations for the fall celebration by making painted pumpkins. 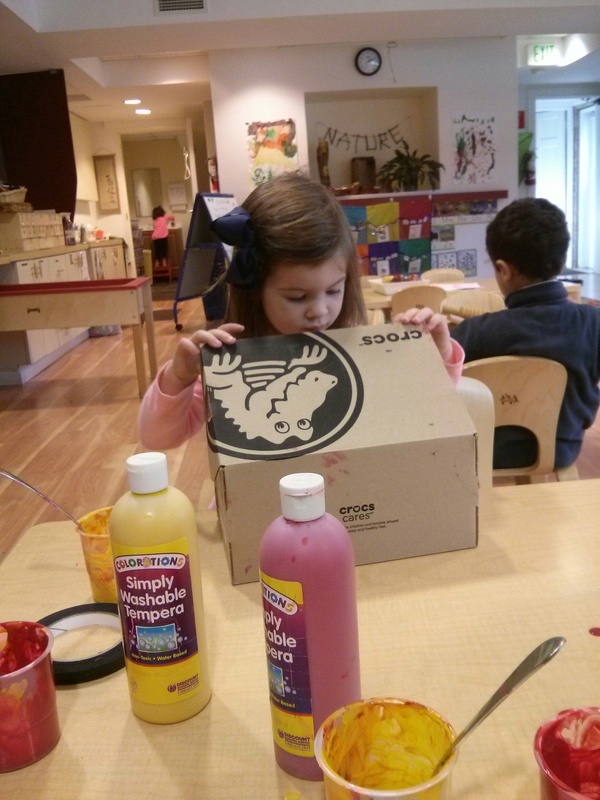 We taped the paper pumpkins inside a shoebox, dropped in a couple of paint-coated golf balls, closed the like and shook the box until a fancy, one of kind pumpkin painting was created! 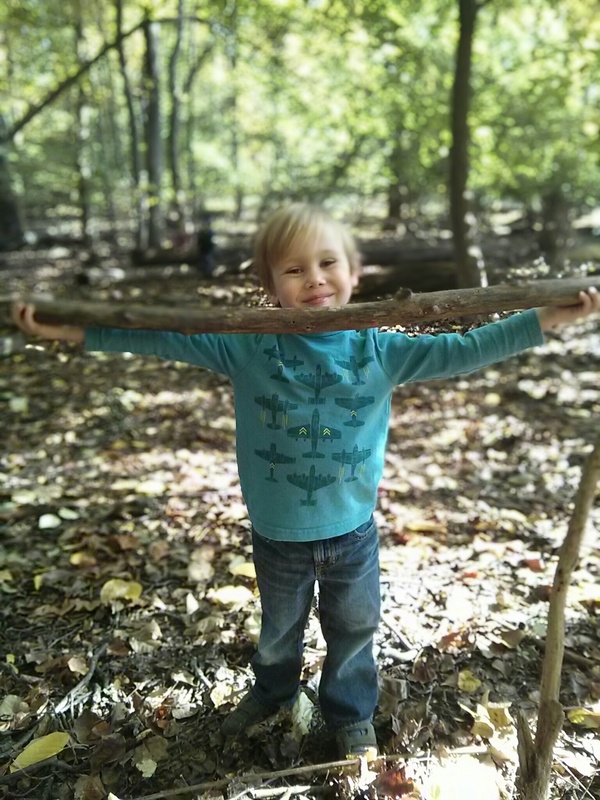 This entry was posted in Uncategorized by anspreschool. Bookmark the permalink.